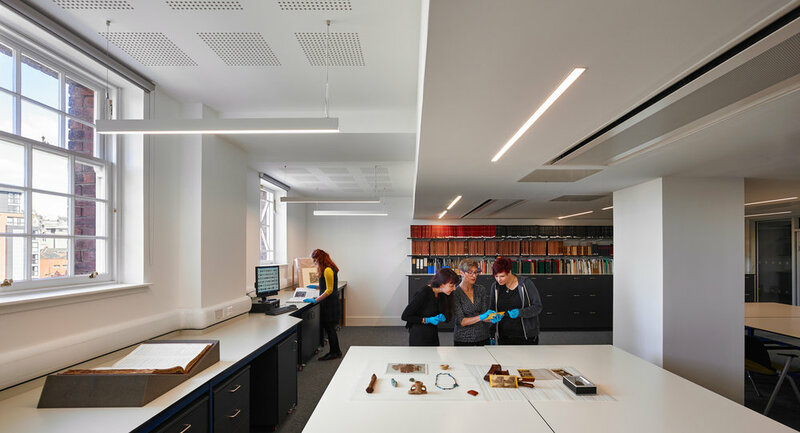 Kelvin Hall, one of Glasgow's most recognisable structures, was given an extensive refurbishment and development by Page\Park Architects, Harley Haddow and Graven Images. 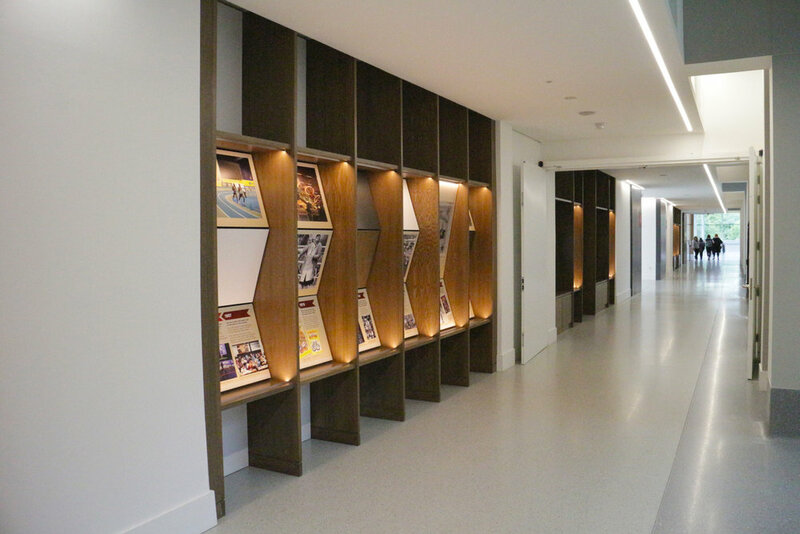 KSLD was brought in to design the lighting for the ‘avenue’, a long corridor stretching nearly the length of the building, the reception, the cafe, and exterior identity lighting. The ‘avenue’ is characterised by lighting which contrasts hi-level linear architectural light providing visible, bright, and even lighting of surfaces with low-level discreet light that is hidden, subtle and provides sharp surface definition. The contrast of the linear lights with recessed spotlights continues through various areas, providing a lighting theme and consistency among the various colours used to denote different spaces. The reception; a space with extraordinary architectural features, was given a more delicate scheme of flush, recessed, indirect and discreet lighting to enhance the architecture. To create a night time building identity, the columns in the reception are uplit and peripheral ceiling areas are lit at night to express the architectural form. Along Burnside Road, selected areas of facade are lit to define and ground the building while also providing enhanced pedestrian lighting, welcoming and directing visitors to the entrance. Featured in Architects Journal March 2017.